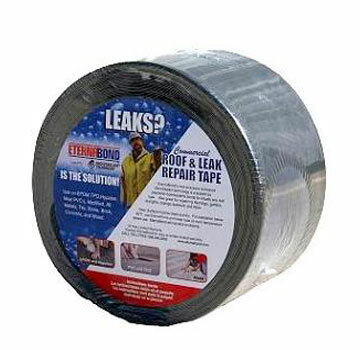 PRODUCT: EternaBond RoofSeal GRAY Waterproofing Repair Tape, 2 in. x 50 ft., Price/Roll. RoofSeal is the best solution for leak repair or corrosion protection in tough environments and conditions, including land-fill and pond liners. The patented adhesive has an integrated primer which allows RoofSeal to BOND with the surface it is installed on. M-1 HIGH PERFORMANCE STRUCTURAL SEALANT & ADHESIVE, GRAY COLOR, 10.1 OZ TUBE. 24/CASE. PRICE/TUBE.